Land for sale at incredibly low prices! Welcome to LandDiscounts.com where you can find land for sale at incredibly low prices. We do all the homework and legwork to purchase rural, vacant land as inexpensively as possible, so that we can sell it to our customers at a deep, deep discount. We sell land at wholesale prices directly to customers for their own use, as well as to other land investors to resell or keep as an investment. Our emphasis is on providing excellent customer service both before and after the sale with a simple, quick and easy buying process. We own the land and there is no middleman, bank, attorney or real estate broker involved to add to the cost. Our land is offered for cash or on terms with no credit check and no qualifying through our own in-house financing. If you're looking for inexpensive, rural acreage for a cabin, tiny house, off-grid living getaway, prepper property or even cheap land to park an RV on, you've come to the right place. So, take a look around and if our FAQ or How to Buy pages can't answer your questions, please email, call or text us! ​Special Feature(s): This property is only several lots away from paved Highway 150 and a super easy 18 mile drive to the full service city of Alamosa. Huge views of Mt Blanca and unlimited outdoor recreation in the surrounding area! Invest in land in a fast growing state. Special Feature(s): Huge level property with good quality, 2WD direct dirt road access. Very convenient and easy drive to town. San Luis is only 5.6 miles from this property. This parcel is large enough to have two wells. Special Feature(s): Absolutely beautiful treed vacant lot, with underground electricity nearby. Perfect for a weekend / vacation cabin or live full-time living! Possible view of the AMAZING Sangre de Cristo mountains! Only 10.5 miles from the beautiful town of Westcliffe! ​Special Feature(s): Spectacular mountain view! This area is surrounded by incredible outdoor recreation opportunites, close to the Sangre de Cristo range and is only 15 miles from the beautiful town of Westcliffe! ​Special Feature(s): This property has two huge attributes - incredible views and the eastern border adjoins 4600 acres of public land. This area is surrounded by incredible outdoor recreation opportunites, close to the Sangre de Cristo range and is only 17 miles from the beautiful town of Westcliffe! ​Special Feature(s): This rare lot has direct dirt road access and has a gentle slope to possible building sites with a fantastic view! This area is surrounded by incredible outdoor recreation opportunites, close to the Sangre de Cristo range and is only 21 miles from the beautiful town of Westcliffe! ​Special Feature(s): Great lot for anyone wanting easy access to Breckenridge but not the sky high Breckenridge price! Check out the view from this property! This subdivision has underground electricity. The lot is located in the beautiful Valley of the Sun subdivision. No HOA! ​Special Feature(s): This Indian Mountain lot has electricity poles nearby and is gently sloped with a view . Close to three lakes, two State Parks, two national forests and only 40 miles from Breckenridge! Perfect property for an outdoor recreationalist with so much to do in the area. ​Special Feature(s): Extra large lot with varying terrain and road bordering three sides. Close to three trout lakes, two State Parks and National Forests! Great views of hills and mountains and surrounded by outdoor recreation! ​Special Feature(s): Large level property with incredible views of treed mountains! Located in desirable Wildwood Recreation Village. Close to three trout lakes, two State Parks and two National Forests! Best price on 10 acres in Park County! ​Special Feature(s): Stunningly beautiful horse property only 15 miles from Gunnison! Only yards from Gunnison County. Get an almost in Gunnison property at a lower Saguache County price! Gently sloped property with great views of hills and mountains and surrounded by outdoor recreation! ​Special Feature(s): Affordable residential lot in Humboldt River Ranchos 15.7 miles from downtown Elko! Elko is a full service city. Live in a rural area, yet live close to the conveniences of a city. And, there's no state income tax in Nevada! We offer owner-financing on this lot. ​Special Feature(s): Crescent Valley 20,000 sq. ft. lot with in-town water hook up and electricity available. Located only feet away from Highway 306. There's no zoning, so this property can be used as a residential or commercial lot. RV living and mobile home friendly. This lot might make a nice long term investment because the property tax is dirt cheap. ​Special Feature(s): Crescent Valley 20,000 sq. ft. lot with in-town water hook up and electricity available. Located close to Highway 306. There's no zoning, so this property can be used as a residential or commercial lot. RV living and mobile home friendly. This lot might make a nice long term investment because the property tax is dirt cheap. ​Special Feature(s): Affordable prepper or alternative living property. Off-grid and off-road. Beautiful scenic land in Nevada's Crescent Valley! This property requires a high clearance 4x4. Located less than 8 miles north of Crescent Valley, NV. No building restrictions - RV living, mobile homes, tiny houses and alternative living homes are allowed! 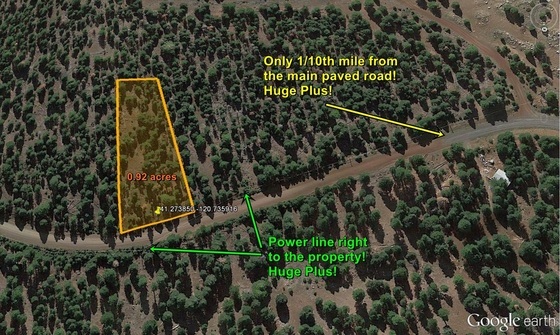 ​Special Feature(s): Affordable prepper or alternative living property bordering 640 acres of BLM land. Off-grid and off-road. Beautiful scenic land in Nevada's Crescent Valley! This property requires a high clearance 4x4. Located 9 miles SE of Crescent Valley, NV. No building restrictions - RV living, mobile homes, tiny houses and alternative living homes are allowed! ​Special Feature(s): HUGE Nevada ranch with direct access, only 11 miles from Crescent Valley. No building restrictions - RV living, mobile homes, tiny houses, alternative living homes and raising livestock are allowed! This would make an awesome prepper property! This property requires a 4WD. ​Special Feature(s): Very remote and level recreational land adjoining 100,000's of acres of BLM land. Bring your RV's, motorcyles or ATVs and camp or just have fun on this huge flat parcel with almost unlimited BLM land to roam bordering this property. ​Special Feature(s): Fantastic price on a 40 acre ranch with nice mountain views in Pershing County. Close to thousands of acres of BLM land! Make big acreage Nevada land with low taxes a part of your investment portfolio. ​Special Feature(s): Affordable and scenic land with two track access north of Reno in Honey Lake Valley near Pyramid Lake! Pyramid Lake is a world class fishery for Lahontan Cutthroat Trout. Close to tens of thousands of acres of BLM land! Great lot for recreation or firearms range. ​Special Feature(s): Beautiful large acreage horse property only 34 miles north of Reno and close to 27,000 acres of BLM land! Perfect for horse enthusiasts, hunters, ATV riders, nature lovers and convenient to Reno . Located in the desirable Sierra Ranchos community. 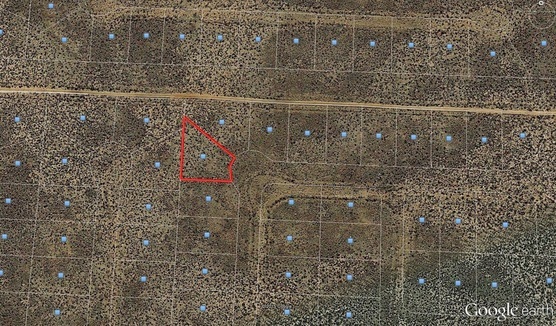 ​Special Feature(s): Affordable and scenic ranch land with direct road access in Honey Lake Valley near Pyramid Lake! Pyramid Lake is a world class fishery for Lahontan Cutthroat Trout! Close to hundreds of thousands of acres of BLM land! ​Special Feature(s): Large lot located in the beautiful Mountain Harbour golf and lakefront community. Mountain Habour is a residential community located on Center Hill Lake. This lot might allow a view of the lake as well as a walkout home. ​Special Feature(s): Rare and prime California Pines Hill Unit 1 lot with ELECTRICITY, PAVED ROAD and TREES! One of the best lots in California Pines! ​Cal Pines is an area of unlimited outdoor recreation! ​Special Feature(s): Prime California Pines Hill Unit 4 lot with ELECTRICITY, TREES , PAVED ROAD (up to last 1/10th mi.) and a possible VIEW! ​This is a great lot to build a cabin on! Affordable Northern California lot! ​Special Feature(s): Dirt Cheap RV lot with 300+ days of sunshine per year! This vacant lot has rugged mountain views and easy access to town!